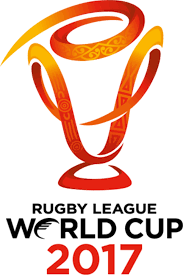 The four quarterfinals have been confirmed for the Rugby League World Cup after the last round of pool matches. In one of the exciting quarterfinals, the Vodafone Fiji Bati takes on New Zealand. Defending champions Australia plays Samoa, Tonga faces Lebanon and Papua New Guneia will be up against England. The Bati faces the Kiwi, 7.30pm on Saturday at Westpac Stadium in Wellington.